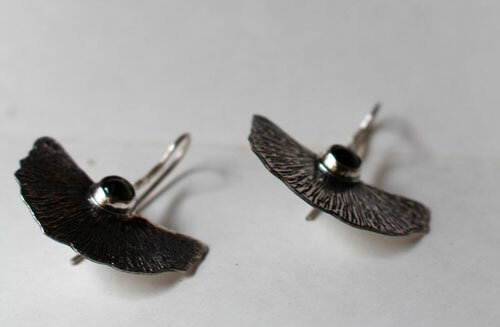 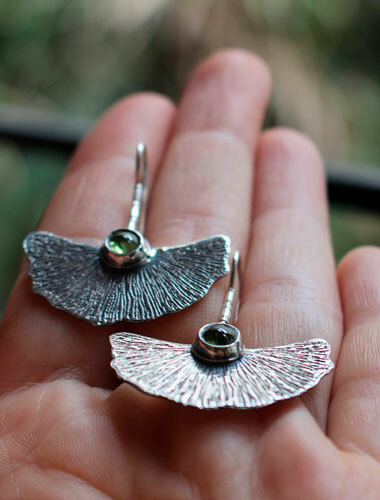 These earrings will be the perfect accessory on your ears. 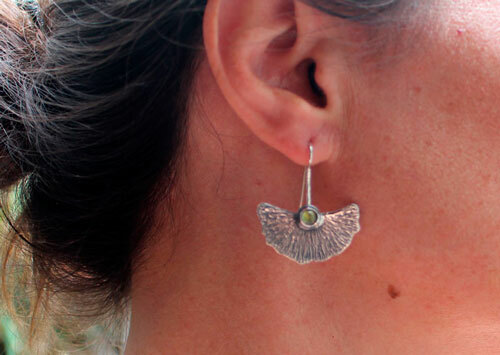 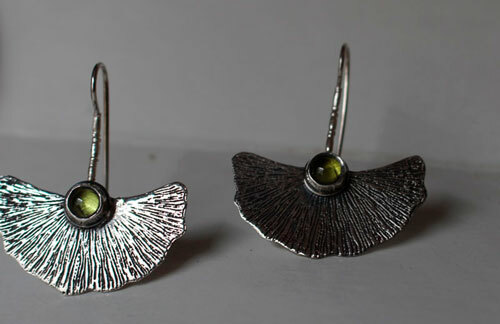 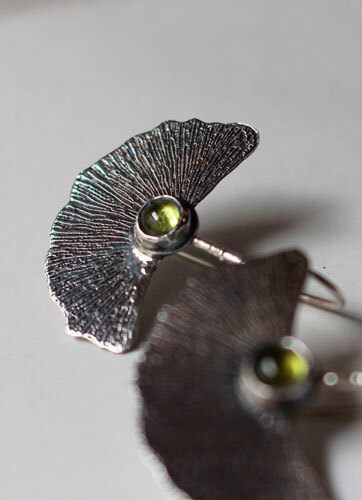 Two ginkgo biloba leaves were bezel set with peridot cabochons with Apple Green hues. 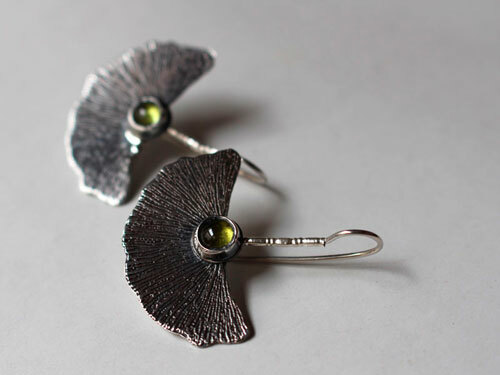 The ginkgo biloba leaves are often used as a symbol of love and longevity. 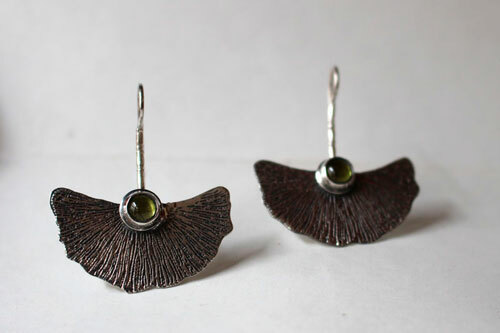 If you would like to make a special gift to a person you love, these earrings would be the perfect gift for this occasion. 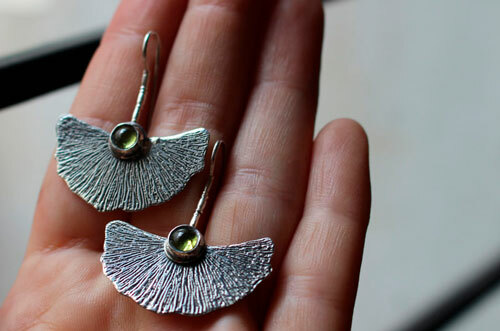 Tag: earrings, sterling silver, cabochon, peridot, apple green, engraving, engraved, stone, flower, petal, romantic, mother gift, wedding anniversary, engagement gift, leaf, tree, nature, japan, Japanese.